Looking for a jive course? Join us at Ruby's - Surrey Jive's Monthly Dance! At Surrey Jive we love the 1940's and 1950's era. A time when dance halls jumped and jived to the sound of the big beat. The music and dance style from this period epitomised what having fun was all about and Surrey Jive are committed to showing you how to dance this fantastic style of jive so you too can join in all the fun and excitement. Jive courses, no experience required! We run progressive Swing Dance courses over 10-weeks in Wallington and Epsom, Surrey and no previous dance experience is required. We have taught thousands of people how to dance 'The Jitterbug' and 'Lindyhop' and Surrey Jive are well known for their well structured lessons, supportive and friendly style. 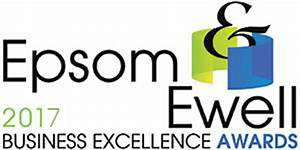 Indeed, Surrey Jive were 2017 Finalists in the Epsom & Ewell Business Awards for Customer Service. We understand what a difficult step it can be for some people to try something new and we therefore give your our guarantee that we will do all we can to put you at ease and allow you to start enjoying the experience from the very first lesson. We start by breaking all the steps down and demonstrating what we want you to learn. We start a class by revising the previous two weeks (this is useful should you miss a week) and in the second half of the class you learn two new dance moves. Each week builds on the last, creating solid basics for you to develop your overall dancing. Should you wish to practice at home then we provide you with a password to access online aid memoires to assist you with that weeks class. Whatever your dance goal Surrey Jive want you to achieve it. If you are a complete novice, you will be jiving in just 10-weeks! If you come with more experience or have learnt other styles such as Ballroom Jive, Rock n' Roll, Ceroc or LeRoc then we can teach you new dance moves to compliment your own style. So why not consider a course with Surrey Jive and see why we are 'The Home of Happy Feet'. Classes - Join in the Fun!